Although DeMille spent a great deal of pre-production time conducting research on the history of Cleopatra and having life-sized Roman and Egyptian artifacts built, the story itself is more like many other Hollywood historical dramas, with a dose of Depression-era attitude evident specifically in Colbert, who plays a gal who can take anything life throws at her, and whose own suicide is played as a clever triumph over one more foolish Roman, out of a whole cast of Roman men who don't measure up. Claudette Colbert also made Imitation of Life and Frank Capra's It Happened One Night the same year as Cleopatra, and of the three, she is certainly playing her strongest character here. Her Cleopatra has more spine and brains than all the other male leads put together. Colbert also engages the camera with more energy than either co-stars Warren William and Henry Wilcoxon (Wilcoxon's Marc Antony scowls through much footage here, but with more humor than the equally scowling Richard Burton from the 1963 Cleopatra). There is something about the historical figure of Cleopatra which brings out the opulent and over-done in Hollywood. 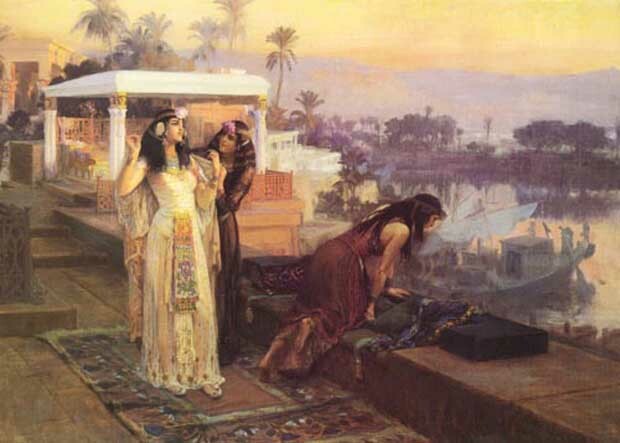 It was likely inherited from Victorian-era historical painting, where the adventures of Cleopatra and her (imagined) skimpy costuming (or no costuming whatsoever - - apparently there wasn't any sunburning in ancient Egypt) was featured in a number of famous paintings of the late 1800s. Below is a very tame one by Arthur Bridgeman. The overstuffed decorations of academic painting and theatrical set design influenced the early Hollywood set designers, but no one really knew how to make it all work along with the technology of motion picture photography like Cecil B. DeMille. The gloss on DeMille's CLEOPATRA of 1934 is unique, with a lushness that competes with Sternberg but wins on account of DeMille's larger budget. It has been said that the cinematographers who made movies like these early 30's films died knowing how to do things that is unknown to the skill sets of modern cinematographers whose headaches are all about using color film / color digital. The film is essentially about Claudette Colbert's Cleopatra struggling to find love and making dozens of costume-changes while simultaneously earning the ire of Rome's citizens because she seduces Julius Caesar (Warren William), and then after his death, Mark Antony (Henry Wilcoxon) and hopes to partner with either one (or maybe anyone) to conquer the world. She's smart, amiable, a little power-mad, and a woman from Egypt - - all of which is enough to make Rome madder and madder, and it all comes to ruin when Mark Antony uses Egypt's armed forces to attack the Roman fleet at Antium, but loses. Following this disaster, Cleopatra rushes to Octavian, who is the ruler of Rome, and she negotiates a deal to save Antony's life after his act of treason. But when Antony finds out Cleopatra has been to see Octavian, he assumes the obvious thing, goes into a funk and kills himself, but he does not expire until Cleopatra makes it back in time to set him straight about her true love for him. Forthwith, troops from Rome show up and attack, bent upon claiming her as a grand prize to parade back to Rome, but Cleopatra commits suicide using an Asp snake and outfoxes them all. 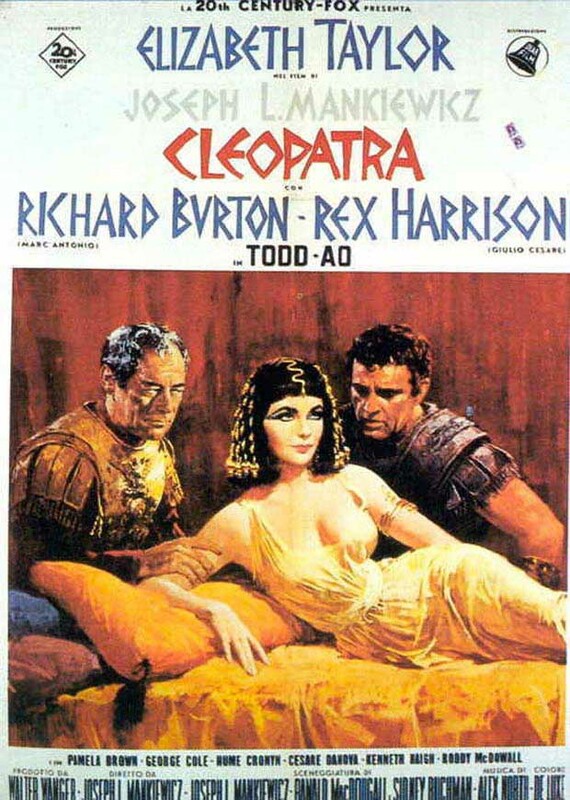 Warren William and Henry Wilcoxon are a more muscular pair of male leads than what was shown in Elizabeth Taylor's 1963 Cleopatra in which Rex Harrison (thoughtful but rickety) and Richard Burton (brooding giving way to tantrums) when the two shared the honors of longing for Cleopatra. William and Wilcoxon get down to business faster and to the point. In DeMilles' Cleopatra, Julius Caesar (Warren William) conquered the known world, but that hardly made him a match for Cleopatra (Claudette Colbert). There's simply not enough story in DeMille's Cleopatra to fill out the visuals, and on those merits the movie could easily be panned by one who takes only the strength of story, dialogue and acting into consideration when rating a film. But that would be to ignore the rare quality of spectacle that permeates a DeMille film and at times seems to be what a DeMille film is all about. The 1963 film certainly seemed to concentrate hard on DeMille's movie. Most of the main elements are transferred from the Colbert version into the Elizabeth Taylor version (and expanded upon), but the script writing in the later film goes to great pains to convince us of the gravity of the drama on the screen, but whether this convinces the audience is another matter (and a personal choice: the Taylor-Burton film certainly has energetic fans). We might care a great deal about Elizabeth Taylor, who had quite a few hard knocks leading up to 1963, but her character of Cleopatra projected onto a 21st century screen seems to have an annoying self-righteousness to her, and when Taylor starts yelling at someone her personal drama is unable to match the size of the production sets. But, perhaps this proximty in time to her personal story made Cleopatra 1963 resonate deeper with contemporary movie goers. Colbert's Cleopatra doesn't resort to fighting her way out to be heard over the art production, but stays with a basic strategy of making monkeys out of men and grabbing geographic acquisitions. Hers is a more likeable person who also makes a lot more sense as an "American" Queen of Egypt. Colbert wants to run Egypt sans corruption and with a firm grip on all the levers of power. Taylor's Cleopatra at times seems to be preaching bringing peace by naval battle, and it just doesn't add up. One area that the 1963 Cleopatra strives to outdo DeMille's version is the decadence of the Egyptians. In both films the Romans seem to be stand-ins for puritanical American society, and Cleopatra's Egyptians are the free-thinking, free-living Bohemians who do a great deal of bathing. At other times the Egyptians (as represented by Cleopatra) just want to be free, but Rome is in the way. In actual history the reality was the direct opposite, as Cleopatra's system was a pyramid of power built upon the backs of a huge number of peasants and slaves. In the Hollywood version, the matter is of course different, and who wouldn't like for Claudette Colbert (and Elizabeth Taylor) to have the right to make decisions about their own life and who they want to love? Taylor's film is a different kind of colorful, opulent spectacle, and is truly unique. The lushness of DeMille's version is simply of a different category, taking advantage of things only possible in black and white, but at the same time limited by that monochromatic palette. Neither film is ultimately successful in the filmmaking sweep states of high drama, flawed by various things, but one in particular is their main marketing points, which is the voyeuristic obsession with Colbert's and Taylor's bodies. Both films have stories which explain what happened between Cleopatra - Julius Caesar - Marc Antony, and Taylor's film in particular wants us to take it seriously, and has good writing interspersed between the big budget set pieces. DeMille's film is leaner and moves from point to point like the pretend rocket carrying tourists through Disneyworld's Space Mountain in Florida. We see a lot in a short amount of time. Cleopatra '34 and '63 are each a Hollywood creation by way of the Victorian age of historical painting, and stage dramas. In an important way, these "Cleopatra" aren't really Egyptian at all, but Americans. The Oscar nominations in other departments were: Best Picture; Sound Recording by the Paramount Studio Sound Department directed by Franklin Hansen; Film Editing by Anne Bauchens and Assistant Director Cullen Tate. Though not nominated for an award, a standout for the film is the art deco design influences on the sets by Art Director Hans Dreier. Be sure to take a look at the David Claubon web site for an analysis of Colbert's costuming for this film here. 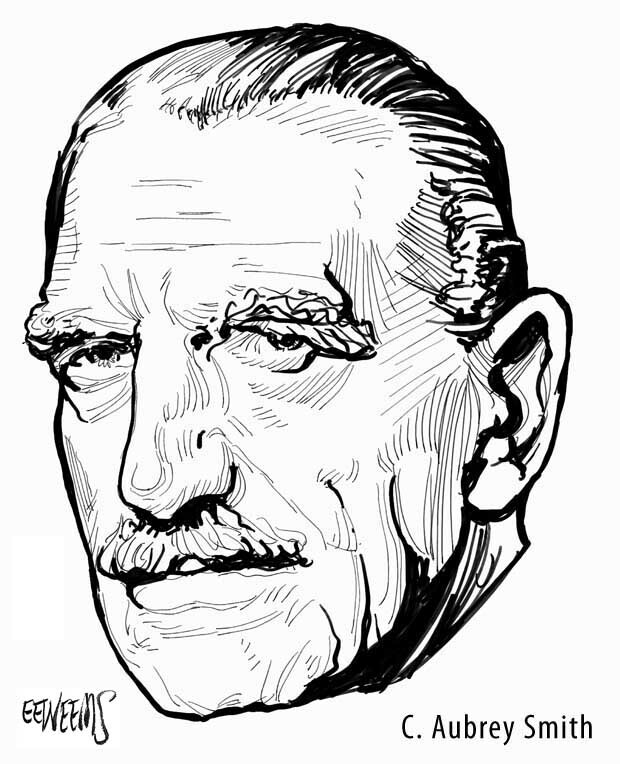 A page about Art Director Hans Dreier at the Academy of Motion Pictures Arts and Sciences here. Also, the filmreference.com site has more on Dreier here.